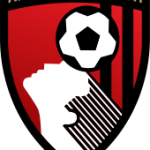 After some surprising results last night, tonight’s game for Chelsea, sees us make the trip to the Vitality Stadium to face Eddi Howe’s Bournemouth. The Cherries come into tonight’s game with just three league wins in 13 games, but one of those wins was last time out against West Ham, ending a four-match winless league streak. 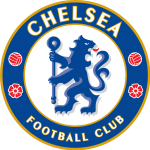 Chelsea also come into the game with a win behind them – against Sheffield Wednesday in the FA Cup Sunday. We also happen to have 100% record at the Vitality Stadium. Before we get too carried away with ourselves though, we should remember we’ve played three times since Bournemouth’s last game and almost the same time last year Bournemouth beat us 3-0 at Stamford Bridge and we haven’t really moved on since then. In fact, our current record of 14 wins and 47 points is exactly the same as we had after 23 league matches last season – and that didn’t end well. Chelsea head coach Maurizio Sarri meanwhile, says “We are fighting I think. At the moment, in Europe, there are only two teams involved in four competitions, so I’m very happy with this. We have to play a very difficult final, we have to play a very difficult match in the FA Cup and we have to fight in the Premier League but at the moment I am very happy with the result. We need to improve, we can improve. We need to improve especially when we have to play the ‘normal’ match because in the Premier League, there are not ‘normal’ matches, everything is so difficult, and it is difficult to win against every team and so we need to improve in that.” Of course, he said a lot more than this in the pre-match press conference, but he started picking his nose again, so I switched off. For Bournemouth, Dominic Solanke (hamstring) has been back in training and Callum Wilson (knee) will need a fitness test, whilst Chris Mepham could make his debut. For Chelsea, there are no new injury concerns. Hazard and Kante should return after their rest in the cup and Higuain will undoubtedly make his Premier League debut. Whether Sarri gives Hudson-Odoi an opportunity after his transfer request was turned down remains to be seen though. Bournemouth have lost all three Premier League home fixtures versus Chelsea. Bournemouth are looking to secure back-to-back Premier League victories for the first time since October. Bournemouth have lost 10 consecutive league fixtures against the established top six since a 3-0 win at Chelsea a year ago. Chelsea could lose three consecutive away fixtures in all competitions for the first time since a run of five in a row from January to March 2018. Chelsea could fail to score in three successive away matches for the first time since March to April 2002.